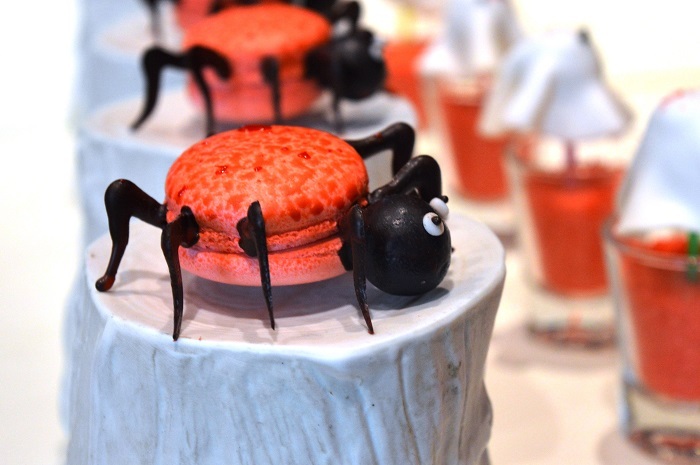 Mumbai, Maharashtra, India: Dress your 'spooktacular' best this Halloween as JW Marriott Mumbai Juhu is all set to host its scariest party at Dashanzi on October 27, 2017. Celebrate the American festival of the dead at the progressive modern Asian cuisine restaurant as we treat guests to a widespread buffet of scrumptious delights, complemented with sinful cocktails. Adding to the festivities will be an international DJ spinning techno and house beats to complement the spooky theme. For enquiries, please contact us on 022 66933622 or visit www.jwmarriottmumbai.com for further information. JW Marriott is part of Marriott International’s luxury portfolio and consists of beautiful properties in gateway cities and distinctive resort locations around the world. These elegant hotels cater to today’s sophisticated, self-assured travelers, offering them the quiet luxury they seek in a warmly authentic, relaxed atmosphere lacking in pretense. JW Marriott properties artfully provide highly crafted, anticipatory experiences that are reflective of their locale so that their guests have the time to focus on what is most important to them. Currently, there are 70 JW Marriott hotels in 26 countries; by 2019 the portfolio is expected to encompass more than 100 properties in over 30 countries. Visit us online, on Instagram, Twitter, and Facebook. Dress your 'spooktacular' best this Halloween as JW Marriott Mumbai Juhu is all set to host its scariest party at Dashanzi on October 27, 2017. Celebrate the American festival of the dead at the progressive modern Asian cuisine restaurant as we treat guests to a widespread buffet of scrumptious delights, complemented with sinful cocktails.